As a college rooted in the vision and mission of Blessed Father Basil Anthony Moreau, C.S.C., founder of the Congregation of Holy Cross, Stonehill strives to educate students in a discernment process for discovering and affirming their own unique vocation in life. See the Stonehill experience in action. Get a peek at campus life and hear our community describe how Stonehill provides a special and unique college experience. Founded as a Catholic college in 1948 by the Congregation of Holy Cross, Stonehill’s holistic approach is guided by the principles of education and faith. Our students grow into global citizens who value knowledge, integrity and compassion as they seek to create a more just society. Stonehill professors emphasize critical analysis and creative thinking while mentoring students in more than 80 academic programs in the liberal arts, sciences, business and pre-professional fields. Located between Boston and Providence, Stonehill is a Massachusetts College that provides students with an array of research and internship experiences on campus and nearby metropolitan areas. Stonehill has earned national recognition for our international study and intern abroad programs, which present our students with a world of opportunities. Stonehill was founded on June 30, 1948, by the Congregation of Holy Cross. Rev. George P. Benaglia, C.S.C., was appointed as the first College president, and the first students enrolled on September 20. Confers the B.A., B.S. and the B.S.B.A. 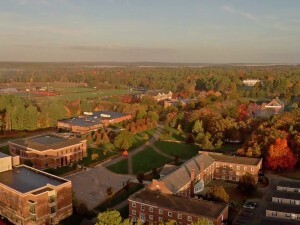 Stonehill is accredited by the New England Commission of Higher Education. Stonehill is affiliated with the Congregation of Holy Cross. Members of the Congregation share in the mission of the College as administrators, faculty members and campus ministers. Rev. John Denning, C.S.C. is the ninth Holy Cross priest to serve as Stonehill’s president. In addition, members of the Congregation serve the College as members of the Board of Trustees, many of whom are Stonehill alumni. At all levels of competition, athletics are a big part of life at Stonehill – more than 80% of our students participate on an NCAA Division II varsity team or play an intramural or club sport. Stonehill is consistently singled out by organizations involved in assessing U.S. colleges and universities as being among the best in the nation when it comes to value, outcomes and a commitment to making the world a better place. Read about our most recent recognitions.